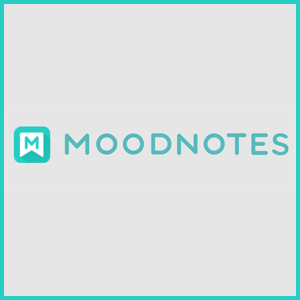 Moodnotes helps you capture your feelings and improve your thinking habits. CBT is an effective, science-based form of therapy that helps patients challenge their unwanted thoughts in order to better influence their future behavior. With Moodnotes, CBT has arrived to the mobile platform in a clever form. On its surface, Moodnotes acts as an emotional diary, asking users to input their mood and feelings on a daily basis by sliding a face either up to a smile or down to a frown. Once that information has been entered, however, the app delves further, using CBT methods to have users challenge their thoughts. The end-goal of the app is to “reduce distress & increase your wellbeing by forming positive thinking habits.” Obviously, it’s not a replacement for psychotherapy, but it can be a good supplemental tool or introduction to some of the most effective therapeutic processes. 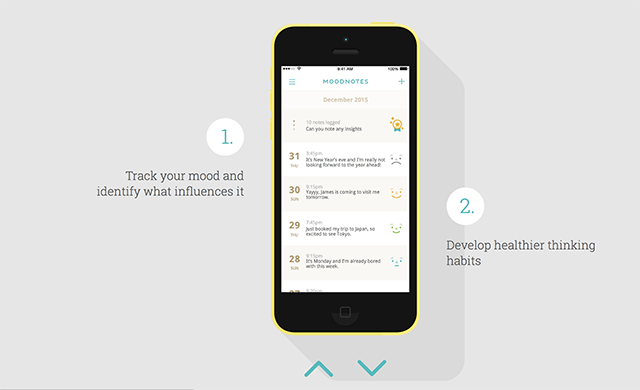 Moodnotes is also useful for helping users discover patterns in their thinking and mood over time. It’s like the Health tracker on your phone, except for your mood and mind. Having consistent, reliable data to refer to can be extremely useful if you’re looking to change or tweak aspects of your diet, exercise routine, habits, or general lifestyle in order to improve your overall mood. The app clearly describes common “Traps” of thinking, such as blaming yourself, downplaying positives, “catastrophizing” events, or using negative labels. There’s a ton to sort through on Moodnotes and it can be a really beneficial tool no matter how you’re feeling about life.